Postdoctoral associate Dr. Matt Kennedy has been awarded a K22 Career Transition Award from the National Institute of Allergy and Infectious Diseases. 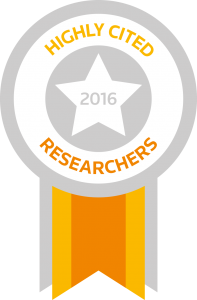 Dr. Cullen has been named a highly cited researcher in 2016! This year’s UNC-Duke Viral Oncology & AIDS Malignancy Symposium will be held on December 14, 2016 at UNC. It will feature presentations by the following speakers and a poster session. More details, including registration information, to come! In conjunction with the symposium, Vincent Racaniello will also be here and will host an episode of TWIV (This Week in Virology). Dr. Cullen received an honorary doctoral degree (D.Sc.) from his alma mater, the University of Warwick. Congratulations Dr. Cullen! The 13th Annual Duke Mini-symposium on Pathogenic Human Viruses was held on April 9, 2015. Guest speakers included Sara Cherry, Ph.D (University of Pennsylvania), Ralph Baric, PhD (University of North Carolina at Chapel Hill), Nihal Altan-Bonnet, Ph.D (NIH), and Shou-Jiang Gao, Ph.D (University of Southern California School of Medicine). On October 15, 2014, Professor Bryan R. Cullen gave the Raymond Schinazi Distinguished Lectureship at Emory University in Atlanta, Georgia. This prestigious lectureship is named in honor of Dr. Raymond Schinazi, the Frances Winship Walters Professor of Pediatrics at Emory University, who co-discovered several widely used antiviral drugs, including the anti-HIV-1 drug lamivudine and the anti-HCV drug Sovaldi, that together have saved many thousands of patient lives. Professor Cullen, who holds the James B. Duke chair of Molecular Genetics & Microbiology at Duke and is the director of the Duke Center for Virology, was awarded this honor in recognition of his many important contributions to the field of virology while at Duke, including the discovery of the mechanisms of action of the essential HIV-1 proteins Tat and Rev and his demonstration of the key role played by small non-coding RNAs in regulating herpes virus latency. The 12th Annual Duke Mini-symposium on Pathogenic Human Viruses was held on April 10, 2014. The 11th Annual Duke Mini-symposium on Pathogenic Human Viruses was held on Thursday, Thursday, April 11, 2013 from 9:00am – 12:30pm in Bryan Research Building Room 103. Dr. Cullen has been selected as the recipient of the 2013 Research Mentoring Award for Basic Science Research. The Research Mentoring Awards were created in 2009 to honor the outstanding research mentors in the Schools of Medicine and Nursing. Winners of this award demonstrate excellence in numerous aspects of mentoring, including accomplishments of individual mentees, programs implemented by the mentor, or by exceptional creativity in mentoring. The 4th annual Duke Center for Virology Mini-symposium on Viral Oncology & AIDS Maligancy was held on Thursday, December 13th, 2012 from 9:30am – 12:00pm in Nanaline Duke (Room 147). In November Post-Doctoral Associate Omar Flores gave a talk entitled “Identification of viral and cellular mRNA targets of Herpes Simplex Virus 1 microRNAs” at the Roche Symposium in Penzberg, Germany. Professor Cullen was recently selected as a fellow by the American Association for the Advancement of Science (AAAS). The news page will be updated as we have information available and when we can legally give out press releases.